Our range of Industrial Air Ventilator includes wind - e roof turbo ventilator and smart exhaust. These products are instrumental in removing the toxic industrial emissions and thereby increase the longevity of roof sheet, structures and wall. Moreover, these products also protect the health of the industrial workers who otherwise faces harmful emissions during work. Our products work without electricity and have the efficiency to function throughout the day. We are engaged in the manufacturing of the wide range of Air Ventilators, which are specially fabricated in compliance with international quality standards. Our team of expert professionals is involved in the development of the product based on the centrifugal force theory. The rotating vanes of turbulent are given on it to make a low-pressure zone in it to allow to replacing the hot or polluted air from the fresh air from outside. 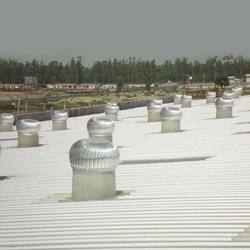 We offer the industrial roof ventilators to our clients with a qualitative range of industrial roof ventilators. these are ideal for use in varied industries to exhaust the stagnant air and gases from the production unit. Our range is manufactured using the centrifugal action principle and in compliance with the prevailing industry standards. Moreover, we also offer these industrial roof ventilators in customized specifications as per the requirements of our esteemed clients. 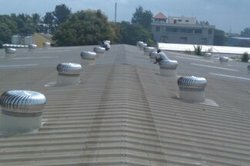 Our range of Rooftop Air Ventilators is supplied with superior materials to our valuable clients. These ventilators help in removing harmful gases and pollutants from the interior.These are easy to install and maintenance free.They are very attractive to the appearance which is offered at cost effective rates at international standard. These are well known for their corrosion resistance and thermal safety. With the help of our expert technicians we supply a gamut range of Non Electric Air Ventilators which are light in weight and less maintenance. This range of products is known for its performance, efficiency and reliable in use. These ventilators are capable of removing heat, dust and smokes. These products are extremely durable and are made using the latest technology and are well-matched with international standards. Our products can be easily fixed on any roofing. 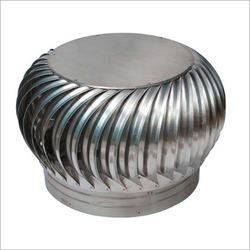 Avail from us Turbo Ventilators that we design and manufacture to meet the exact demands of various industries. Usage of high grade material and latest techniques in the process enable us to meet the specifications of our clients. 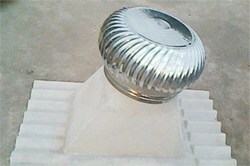 Further, we can also provide them with customized range of ventilators. 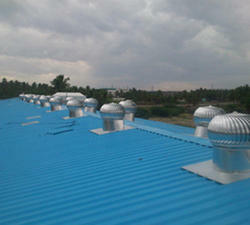 We are one of the leading manufacturers of Industrial Ventilators, which are very easy to install and economical. Industrial Ventilators are in high demand in industries because they make the environment clean by removing all the harmful pollutants. We are a client centric organization and strive to meet their expectations in every possible manners. Meeting their expectations, we are offering them a wide range of Turbine Air Ventilators. 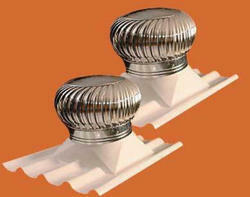 These ventilators are highly reliable and known for delivering long lasting flawless performance. In order to make these products as per the international quality standards, we manufactured these with top grade raw material. Advanced technology is implemented to bring forth these ventilators. 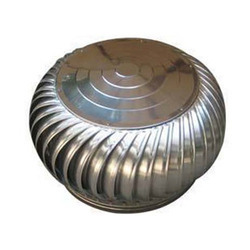 Since inception, we are engaged in catering to the variegated requirements of the customers by bringing forth exclusively designed Turbine Roof Ventilators. Manufactured in adherence with the industry set principles, these products are known for the features like enhanced durability, compact design, dimensional accuracy, longer functional life and low maintenance. Looking for Industrial Air Ventilator ?